Long-term apartments for rent in Minsk. Crazy pics! Are you about to rent apartment in Minsk for long-term? Get ready for real adventure. If you think that to find apartments in Minsk for long-term rent is so easy, you are totally wrong! These days Minsk has huge demand for apartments for long stays. Hundreds of students, young couples, families are hunting for a place to stay. Prices are getting hire and hire with every month. Now you have to pay minimum $500 for one-room long-term apartment rental in Minsk. Minsk getting more and more visitors, but where to stay if you don’t have your own apartment in Minsk? Only to rent the damn thing is the way out. 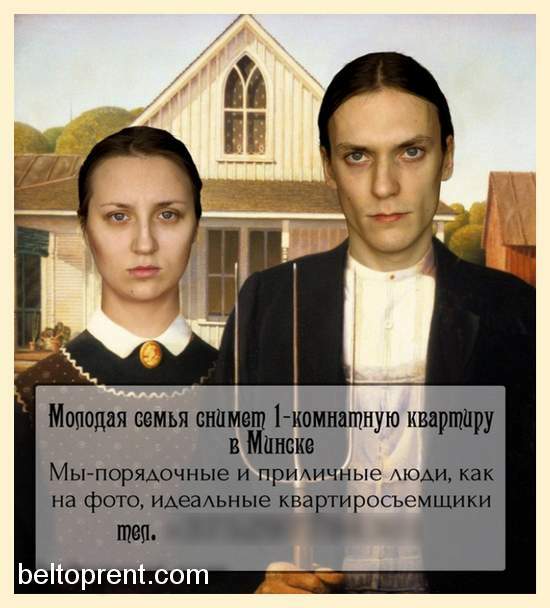 This extremely crazy picture saying that a young couple would like to rent one-room apartment in Minsk. They are ideal people for whom the one would let his apartment. This is what this photo says:))How do you like this trick? 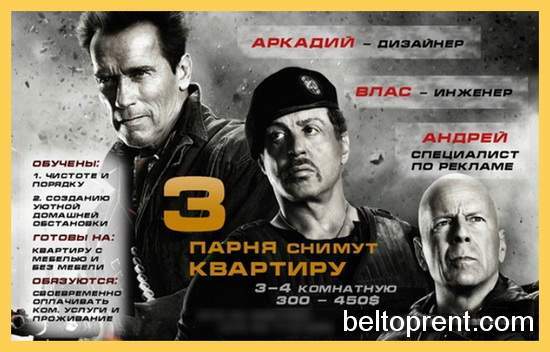 :)) Many crazy stuff these days on Minsk long-term rentals market, but this is life. If you would like get professional customer service in terms of long-term rent in Minsk, feel free to contact us. Apart-Hotel BelTopRent will help you to find apartment in Minsk for any term of rent. The price for long-term apartment’s search starts just from 100$.